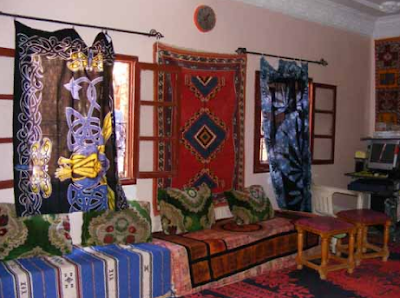 there are three places to stay in todra. 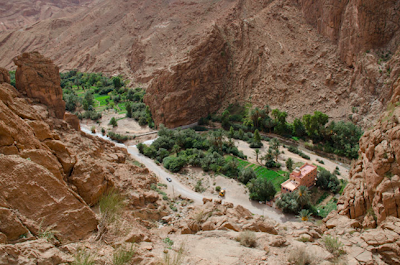 you can stay in the village which is the farthest away from the canyon. that means 5 min. more walking but has other advantages: the hotels in the village have electricity all day and the alimentary shops are near. 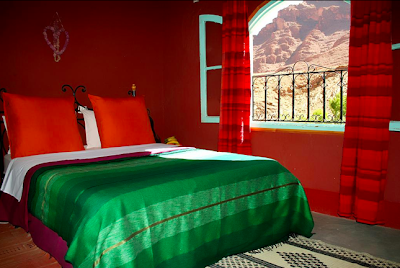 two good hotels in the village are the valentine and dar ayour both quite picturesque and well organized. at the hotel valentine the cost per person in a double room with bathroom with half pension (good food) is around 20 euro. the hotel has wifi, warm water and electricity all day and a beautiful roof terrace. the dar ayour is more expensive with 25 euros for the same characteristics. it is maybe more beautiful, has the somewhat better food, sells alcohol, has rooms with air conditioner. it can also organizes the pick up from the airports and trips to the desert. there are three hotels located just at the beginning of the canyon. the price for a double room with bath is less than the hotels in the villages but with some other differences. there is only warm water in the late afternoon and there are only a few hours of electricity from sunset to elven more or less. they are simple clean hotels with good food and no fancy carpets or things like that. you can also sleep on the roof with your tend or just in a sleeping bag. the climbing spots plage mansour or pilier du guetteur are just around the corner. the hotels also gets much more light than those in the canyon. 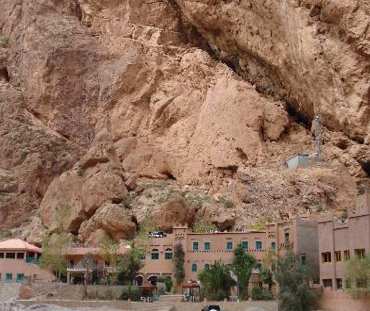 two hotels lie directly under the steep cliffs of the canyon, the yasmina and the rocher. they don't get much light and the electricity is also provided by a gasoline generator. these are the hotels preferred by the travel agencies and therefore somewhat touristic. on the other hand side if you stay there you are right in the middle of the climbing area and just a 5-10 min. walk from all the major climbing spots. i decided to publish this blog, because i'm deeply convinced that climbing in the todra valley is simply fantastic and want to share my experiences about this place and make it easier for climbers to travel there. i have been five times in the todra canyon and plan to return there many times more. monoelemento. Tema Finestra immagine. Powered by Blogger.